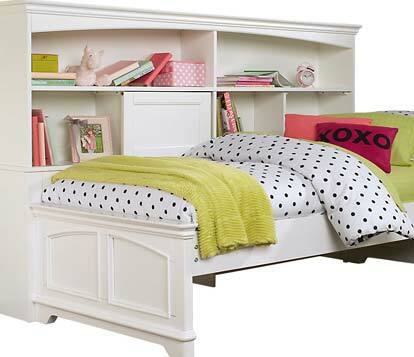 An under bed trundle drawer can house an extra twin mattress or provide a generous storage drawer for extra linens, seasonal clothes, backpacks or toys. 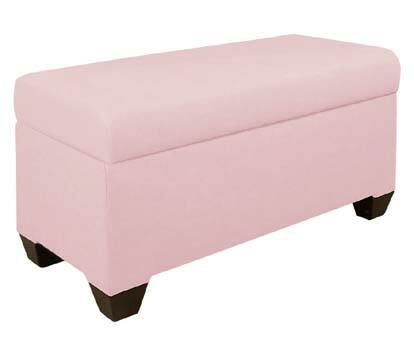 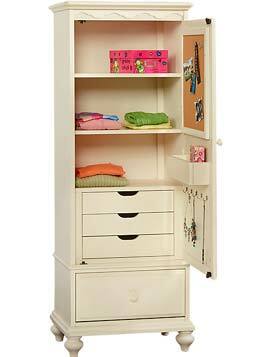 Soft sided bins are light weight and safe, easy for little ones to handle and can contain all kinds of clutter. 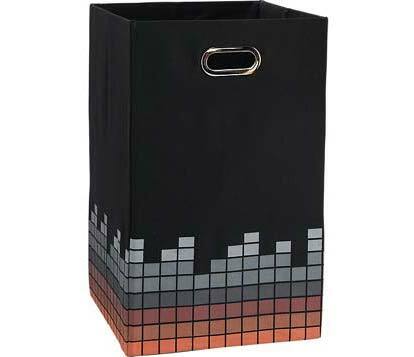 Tall bins make great laundry baskets; smaller bins can be used in cube organizers and bookshelves. 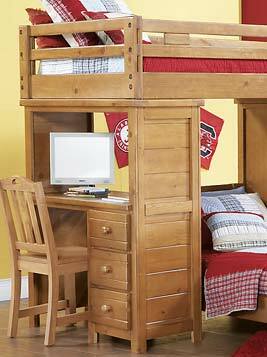 Cleverly designed, space-saving bunk beds incorporate storage in strategic spots – in the stairs, a built-in bureau or an integrated student desk. 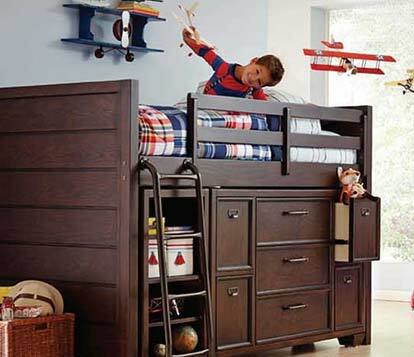 A captains bed or junior loft can be a great fit for all ages … offering roomy dresser sized storage under the bed without being too high off the ground for little ones nor too tight on headroom for teens and tweens. 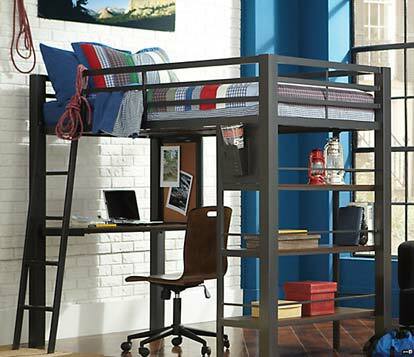 If you are looking for more elevation, a loft bed provides space for a desk, play area or even a futon underneath its raised mattress. 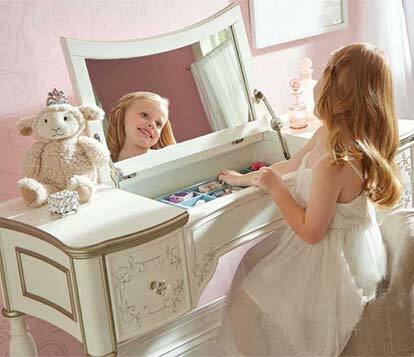 Little girls love to collect baubles and bangles, jewelry organizers keep necklaces untangled, accessories arranged and precious pieces pristine. 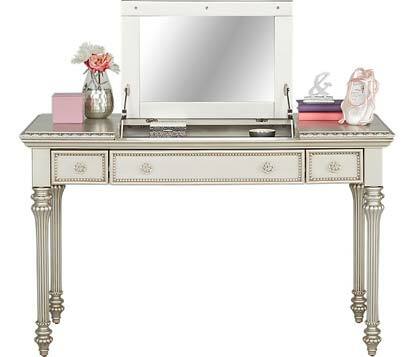 A vanity desk offers place to keep lotions and hair accessories. 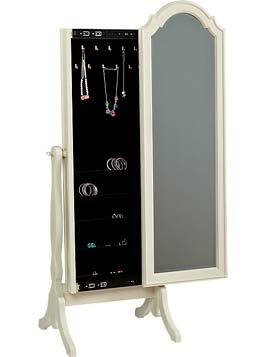 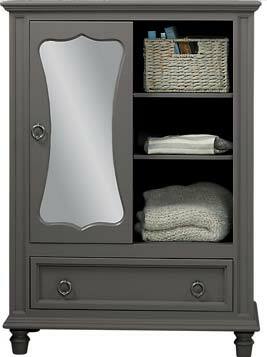 In addition to a mirror, some feature accessory organizers, drawers and even power outlets. 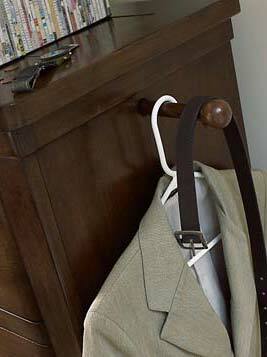 Extra hooks around the room keep clutter off of the floor. 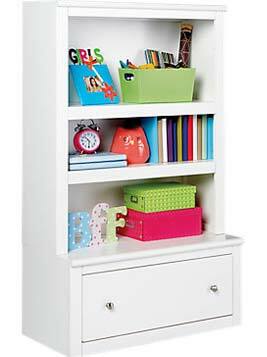 Use them for backpacks or jackets as well as to set out tomorrow morning’s outfit or quickly hang last minute wardrobe cast-offs. 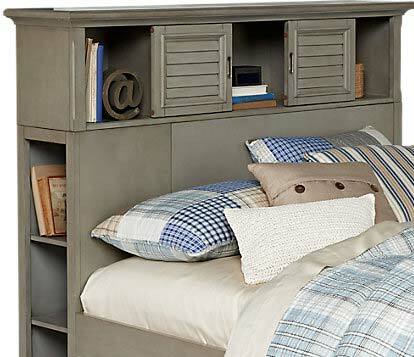 A bookcase headboard keeps night time necessities and bedtime stories close at hand. 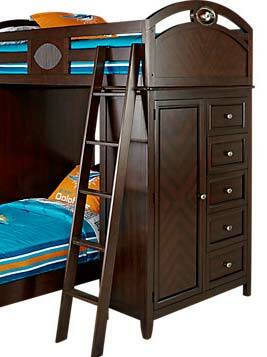 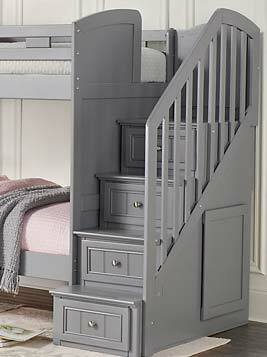 It can also make a handy spot in a teen’s room for an alarm clock, reading light and phone charging station. 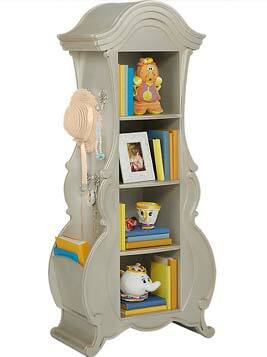 Bookcases are a must for easy access and organization. 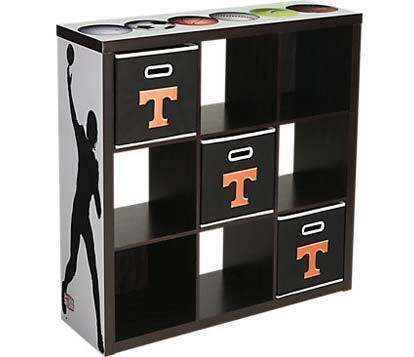 If you can't find one with a storage drawer or compartment use bins, baskets or boxes on the bottom shelves to collect clutter and while offering a polished look. 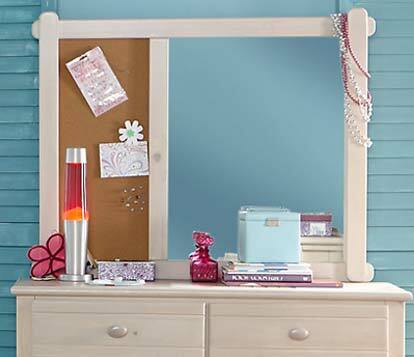 A cork board provides a handy place for kids to display memories and collect trinkets. 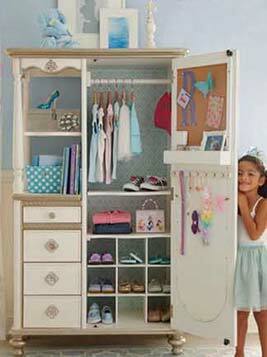 Even at an early age, kids can use this space to showcase their interests and express themselves. 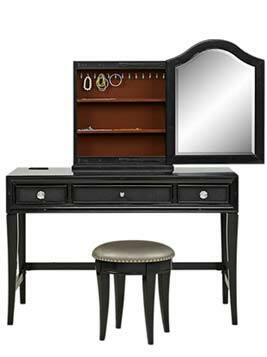 Look for collections with mirrored dressers or desk sets that incorporate cork board panels or hang one separately. 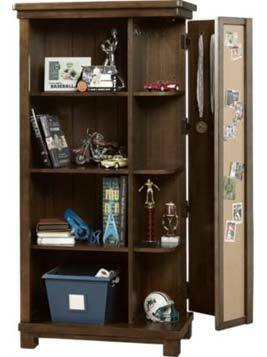 A hutch allows for efficient use of space over the desk or dresser offering shelves for books, trophies, awards and keepsakes. 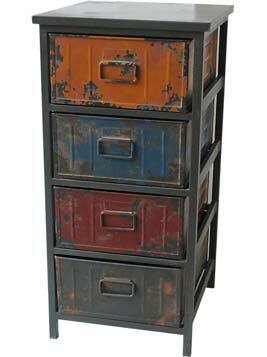 Storage options abound in the form of shelves, drawers and bins. 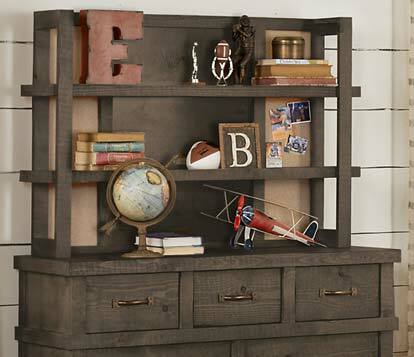 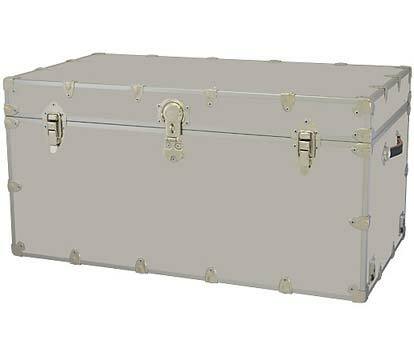 Size up your youngsters belongings to decide the type of storage that will suit your needs best, but remember their collections will continue to grow with them. 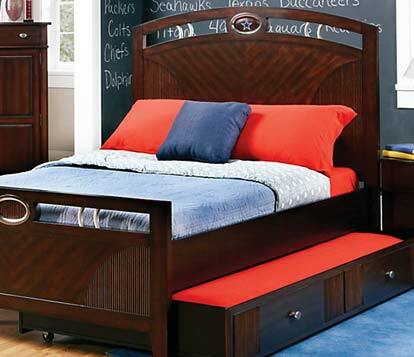 Get more ideas on making the most of your kid’s bedroom in these related articles: Design Tips for the Teen Room and Making it Work – Two Kids in One Bedroom.